WiFi Tribe Talk… Affordable Noise Cancelling Headphones! 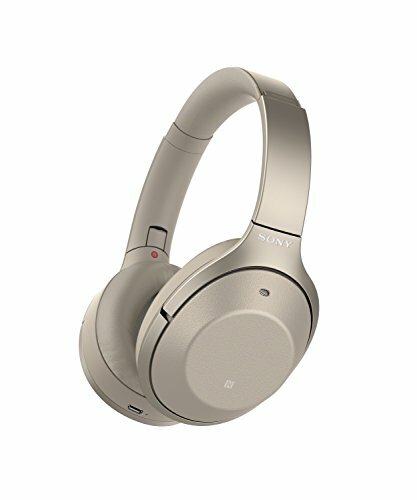 Anyone who has ever tried to get some work done in a busy environment – be it a trendy cafe, a lively coworking space, or the nightmare of trying to meet a deadline before catching a long haul flight – knows how valuable a pair of great quality noise cancelling headphones can be for removing distractions. The digital nomad lifestyle demands that you become accustomed to working in less than ideal environments, but with the right pair of headphones, you can get your head down and plough through your work without even noticing the ruckus around you. There are so many headphones on the market so when presented with so much choice, the first thing I tend to do is go by recommendation. As promised in our previous Top 5 Gadgets article, here are a list of the headphones we are happy to recommend; we’re using these ourselves at the moment and loving them all for various reasons depending on our requirements. This article, though reasonably technical and rather serious, should give you the tools you need to choose your ultimate pair of headphones. So, let us begin! Battery life – many headphone models these days are either wireless or have a wireless option for extra convenience, but this does mean you need to track your battery usage to avoid getting caught out when you need your headphones most. If you’re frequently travelling long distances without the option to re-charge in-between, make sure your headphones have a wired option. Sound quality – of course, you’re purchasing headphones for one thing: to hear! Listening to music, podcasts or videos on a poor-quality pair of headphones gets unbearable very fast, so investing in a pair that will give you great sound quality with every use really pays off. Fit – if you’re purchasing your headphones to drown out background noise while getting work done for multiple hours at a time, you’ll need a pair that are comfortable to wear no matter how long you’re wearing them. Cost – how much you pay for your headphones entirely depends on your budget, so make sure you know what you’re looking to spend before you start shopping! The following recommendations are a few of the one’s we’re already using. Please click the pictures which will take you to Amazon(these are affiliate links) and you can get up to date pricing – with the festive season in full swing, there should be sales coming soon so you may be able to get yourself an excellent deal. The Bose QC 35 headphones can always be relied on to appear in a top 5 headphones list. The Quiet Comfort range offer world-class noise cancellation, so if you spend a lot of your time in busy public spaces such as crowded coffee shops and airports, these are a real contender for blocking out that distracting background noise. The QC 35’s don’t only cancel out noise, though; the headphones also sound great, so you can listen peacefully to your own tunes in high quality. Durable, lightweight and comfortable, these headphones are perfect for tucking away neatly into your day-bag and will serve as a total lifesaver when you’re in need of peace amongst a loud environment. 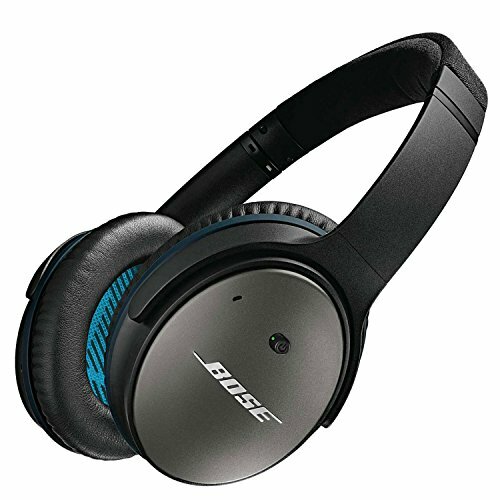 The QuietComfort range from Bose just keeps on giving, with the QC25’s also offering everything a digital nomad could ever need from a noise cancelling headphone, and at a more budget-friendly price than the slightly bigger QC35s. This model delivers powerful, clean and clear music with every use, and perfectly cancels out background noise to provide the perfect space for you to get things done, wherever you are. A highly popular choice with frequent travellers, the Bose QuietComfort 25 headphones fold up in an extremely portable case and are super comfortable to wear – with both wired and wireless options to save on battery when needed (although with a 35 hour battery life, that’s not likely!). Downsides? Honestly, there’s not a whole lot to dislike about this model. Though cheaper than the QC35s, they’re still going to cost you around $130, and some users have mentioned the AAA battery is a little more inconvenient than a rechargeable option, but overall these headphones get a massive thumbs up all round; a great starter set to see if headphones are something you can’t live with out. 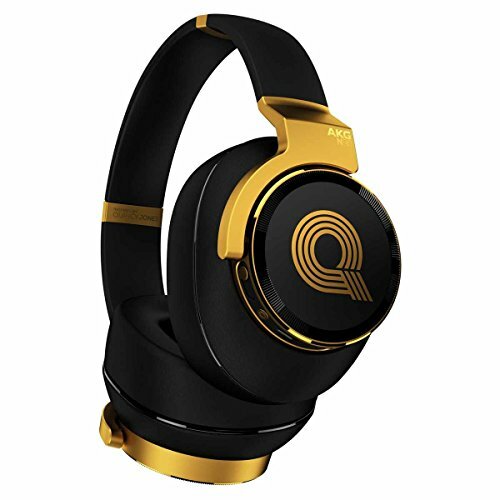 The most expensive headphones on our list by far, the AKG N90Q headphones are a serious piece of kit for sound perfectionists. Designed in partnership with the legendary producer that is Quincy Jones, these headphones have a range of features that make them a truly great pair – from the TrueNote technology that customizes sound specifically for your ears, to three stage control settings (Standard, Studio, and Surround) to suit your needs. Stylish in design and impeccable in sound quality, the AKG N90Q’s are an expensive investment, but if you’re serious about your sound and have the cash to splash, they’re well worth considering. Downsides? Of course, the biggest downside to the AKG N90Q’s $1500 price tag. If you want a pair of headphones for drowning out the noise a few hours a day or while you’re enduring long travel days, this headphones might be a bit much – it depends on your budget and how serious you are about your sound. The Sony MDR 7506 headphones offer great noise cancelling and sound quality at under $100. Around since 1991, these headphones deliver a fantastic, studio-style response perfect for digital nomad’s needing a quality pair of headphones for work as well as play. The larger close-cup design makes this model comfortable for wear for hours, and though a little bulkier than other headphones featured on this list, they do fold up into a portable case for travel days. The sound delivered on these headphones isn’t for everyone because of the way they’re designed to display audio, but if you’re looking for a quality pair of headphones for less than $100, this are a great contender. This model is a little lacking in the finesse many more modern designs have, with a coiled cable and bulkier design than most. If you’re looking for a pair of noise cancelling headphones purely based on aesthetics, this pair might not be for you. Then again, you may well be into the retro look and with a price tag under $100 you could get a little selfish…you can’t see what you look like when you’re wearing them anyway and who cares what other people think right? 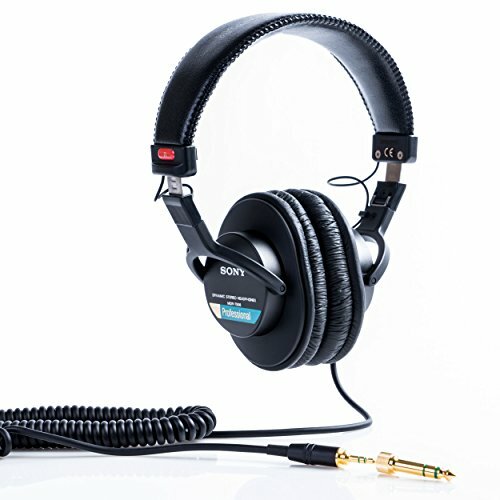 The Sony WH-1000XM2 are frequently compared to the Bose QC35s, delivering an arguably identical quality of noise cancellation and sound performance, and for the same price (they come in at around the $350 mark). So what makes them different? Like the QC35s, the Sony WH-1000XM2s don’t have many downsides – they’re a great quality pair of headphones for any digital nomad. 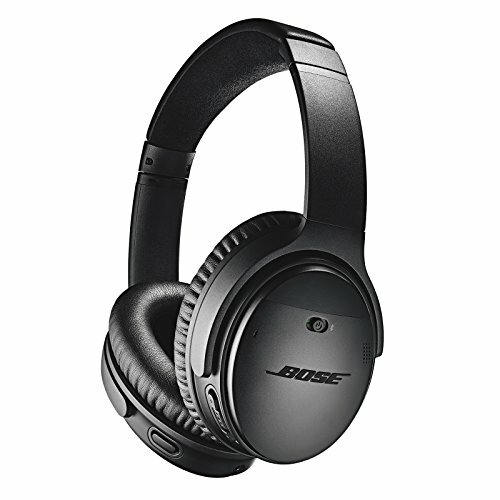 They do have a slightly shorter battery life than the Bose, but overall these would be a great investment for anyone looking for outstanding sound performance and great noise cancellation.